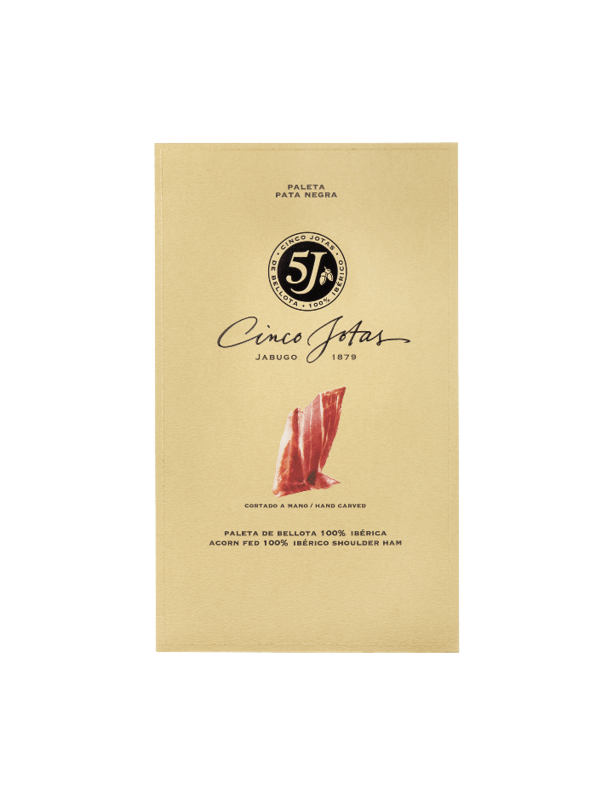 Cinco Jotas hand-carved acorn-fed 100% ibérico shoulder ham in individual 80 g packets. Cinco Jotas Hand-carved Acorn-fed 100% Ibérico Paleta Shoulder Ham in individual 80 g packets. Cinco Jotas paleta is synonomous with exquisite food. It represents an aromatic flavour and an intense capability to fall in love with the most discerning of gourmet tastes. This shoulder cut will be an essential element of your cuisine and the highlight of your selection of appetizers.